The U.S. Consumer Product Safety Commission and Health Canada, in cooperation with Fisher-Price, of East Aurora, N.Y., have recalled about 2.8 million in the US and about 125,000 in Canada toys with inflatable balls. The valve of the inflatable ball on these toys can come off and pose a choking hazard to young children. CPSC and Fisher-Price are aware of 46 reports of incidents where the valve came off in the US and eight reports in Canada. These include 14 reports of the valve found in a child's mouth and three reports of a child beginning to choke. No injuries have been reported. Baby Playzone™ Crawl & Cruise Playground™, Baby Playzone™ Crawl & Slide Arcade™ and Baby Gymtastics™ Play Wall were made in Mexico. 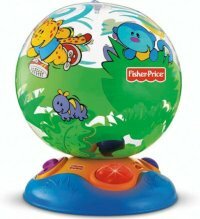 The Ocean Wonders™ Kick & Crawl™ Aquarium, 1-2-3 Tetherball™ and Bat & Score Goal™ were made in China. Consumers should immediately remove the inflatable ball from the product and keep away from children. Do not discard the inflatable ball. 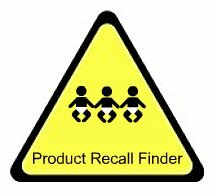 Contact Fisher-Price for a free replacement kit.